1- Tell us about you. Let’s see, I’m a bit of a nerd and I drink copious amounts of coffee. I fangirl over Supernatural and follow the actors on FB and youtube. I homeschool my youngest son, love weekly trivia at World of Beer, and would rather sell my house than battle a cockroach inside of it. 2- When did you start writing? When I was in second grade I wrote really bad copycat Silverstein poetry. I remember reading Alice in Wonderland and suddenly realized I was no longer in my bedroom. I knew I wanted to do that to other people, take them out of the real world into fantastic places that I would create. I won a state writing competition in the fourth grade, and that became my first published fiction work in 2011. Today, I write, speak, and coach for a career! 3- What gave you the idea to write a book? My older son was being bullied so we homeschooled for a few years. I took him to an archery club and while we were there, I imagined this dwarf chasing us down because we had a magic arrow that was supposed to be in his possession. When I got home, I wrote the first chapter of Clifton Chase and the Arrow of Light (which never made it to the book). After some research, I learned about King Richard III and his nephews, locked in the Tower of London by his hand. I wanted to redeem them by changing history. So I sent a boy back in time to help them face their bully uncle with the help of a mythical creature, a dwarf, and a mermaid. Then, the boy came home and was able to face his own middle school bully. 4- Who or what inspires you? I am inspired by passion. I fell in love with my husband on our first date when he spent forty-five minutes explaining comic book characters to me. His passion hooked me. That’s why I love writing and reading books. Life is so busy and so messy. But in books, you take the time to discover what makes a character tick, what drives them, what their passionate about, and then you find yourself falling in love, like I did. 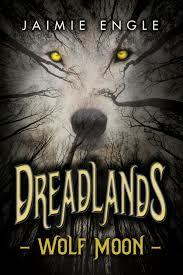 5- Tell us about Dreadlands: Wolf Moon. Is it a series? zombies, and set them into a Viking era world mixed with Norse, Indian, and Inuit mythology. I love this world! Arud is a young boy who cares for his sister dearly and protects her at all costs, kind of like my big brother. His journey through the realm of Vithalia is more than a race against the full moon, when the wolf-shifters are released from the Dreadlands, but also his journey to let go of his sister, who is growing up and doesn’t need him anymore. The lore and prophecy takes the reader to the creation of the shifters and to the brink of this civilization’s apocalypse. 6- Who are your favorite authors? I’ve been fortunate to have met two of my three favorite authors. Orson Scott Card, author of Ender’s Game, has created my favorite character in all of literature in Ender Wiggins. He is a storyteller, even more than an author, and I strive to emulate his gifts. I listened to him speak at a conference last year and got to meet him. Matthew J. Kirby is a brilliant writer and someone I admire greatly. His books are so well-crafted that I think about them long after “the end.” He actually critiqued the first 10 pages of Drealands: Wolf Moon and encouraged me to continue the book. Susanne Collins created my second favorite character Katniss Everdeen, who I also love because of her internal torment and strife to not become her greatest fears, which she ultimately does. I haven’t met her yet, but I’m hopeful! 7- Tell us about your other books ‘Clifton Chase and the Arrow of light’ and ‘The Dredge’. I mentioned Clifton Chase earlier, so I’ll share about The Dredge. This book was inspired by authors retelling fairy tales in modern day worlds. I can’t think of stories more exciting than the Old Testament Bible tales, so I took the story of Sampson and Delilah and set it in a science fiction future. In this world, a boy can see things before they happen and is seduced for his secrets by a girl who wants to get ahead in society. It ended up winning the L. Ron Hubbard’s Writers of the Future honorable mentions award, so I guess it worked! I also just published a non-fiction teaching book titled Writing Your Novel Using the Bible As Your Guide which takes writing techniques from Genesis and teaches authors how they can apply them to their book. Even if you don’t believe in God, the Bible is the number one translated, longest running book in print. All of my books are available on Amazon. 8- Was it hard to get published? No. It just took perseverance. Clifton Chase was picked up by a small press, who ended up being shady and returning my rights. I self-published it in 2012, and it won the BRAG Medallion in 2015 and was listed as a Top Ten Book in 2014 by Kid Lit Reviews. I’ve self-published my subsequent books because I love building my book business and having the control of marketing and sales. I even built a company to help other authors succeed by providing edits, marketing, and coaching through publishing at www.awriterforlife.com. I send my free weekly Sell More Books! 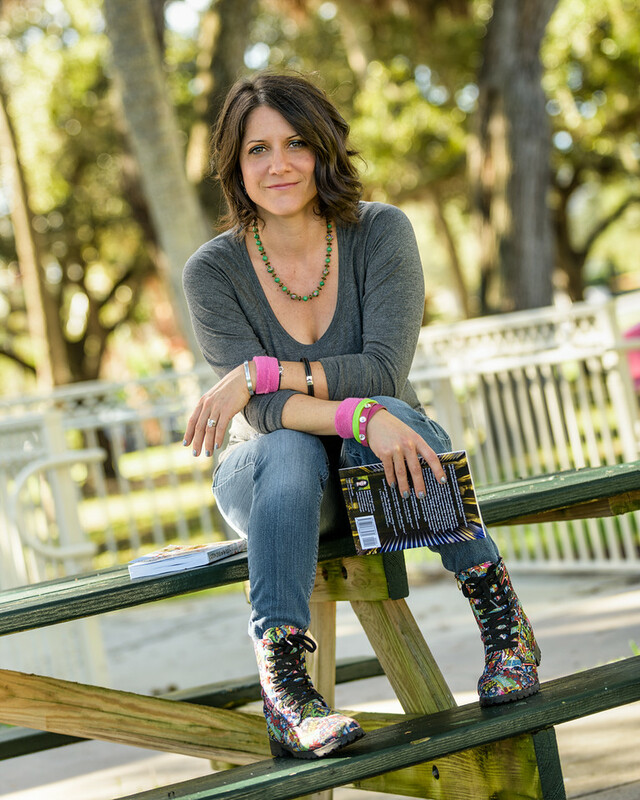 newsletter to share tips with authors, and I love interacting with my followers to help them succeed and learn from my experiences. 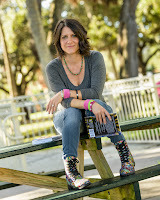 I also have a quarterly newsletter for my fans to keep up with my speaking gigs, new releases, and book world at www.jaimiengle.com. Anyone can join my 1,000 True Fans club through the link on the site. 9- Are you working on new projects? Can you talk about them? …I’m happy, lost in my story world!